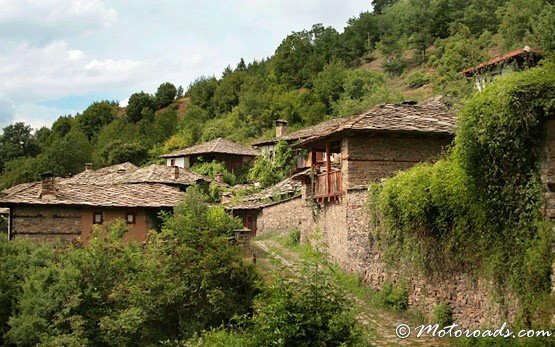 LESHTEN » Leshten is a pretty, picture-postcard village, northeast of Gotse Delchev, in the very western highlands of the Rhodope mountains. 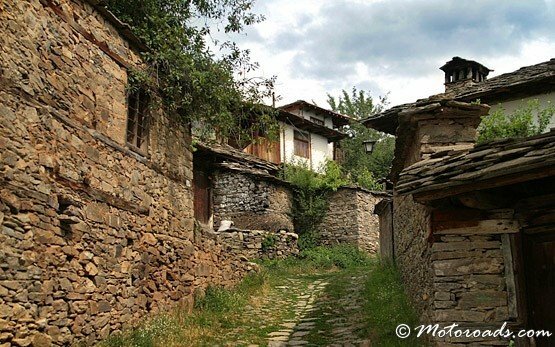 The village is an architectural and ethnographic reserve with thirty traditional homes. 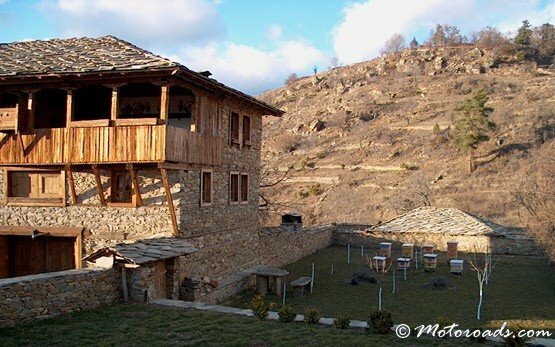 All houses are built in old Bulgarian style. 15 of all 30 houses are available for rent. The other half of the houses are used as taverns by local inhabitants. All houses are connected to the main street covered with oval stones, so called "kaldarum". This charming village offers rich variety of choices for a memorable holiday and opportunities for hunting, fishing, riding and trekking.